DISCLOSURE | This post is sponsored by Floor & Decor. As always, I never recommend anything I wouldn’t use in my own home. IT’S TIME!!! I cannot wait to share my kitchen update with you guys! But first, a little backstory. We built our home about 6 years ago. I had no idea what style of home I wanted. 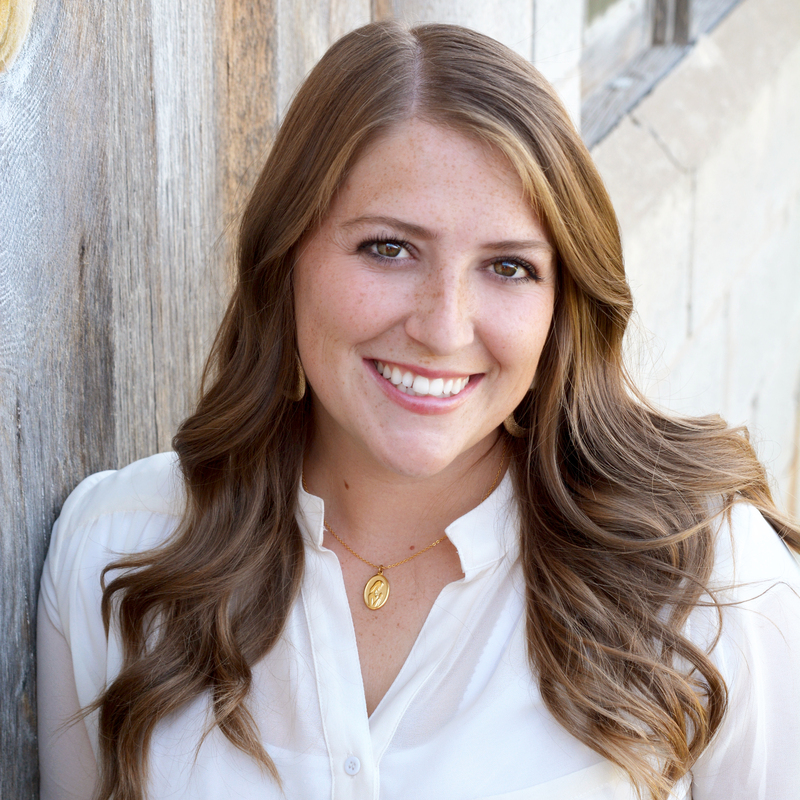 I was hugely pregnant and with 2 small kids in tow, I couldn’t stand the thought of going from store to store picking out samples or visiting model homes; and Pinterest wasn’t even a thing back then! So I kind of just chose what was popular at the time, or honestly, whatever was on sale. Styles have changed a lot in 6 years, and now that I’m so much wiser (ha! ), I know a little better what I like and don’t like (thank you Pinterest). So I decided to do a little kitchen update- to make things feel a little more like home, and a lot more like ME. When we were building, I had considered white cabinets, but the cost was excessive and I was worried how they’d hold up while raising a family, plus they weren’t as in style as they are now. So I went with a dark walnut cabinet. 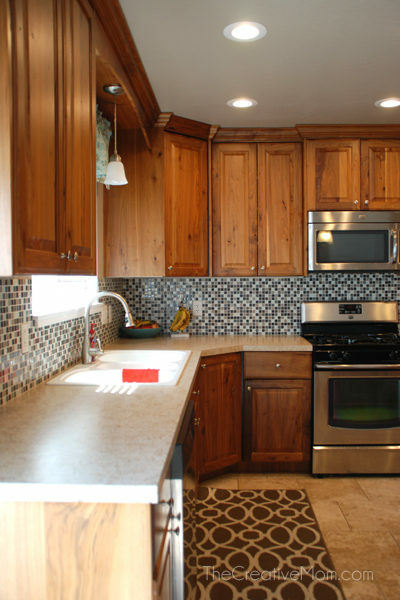 I love my cabinets and the warmth and texture they add to the kitchen. But everything is SO dark that I wished I have added more white into the kitchen. 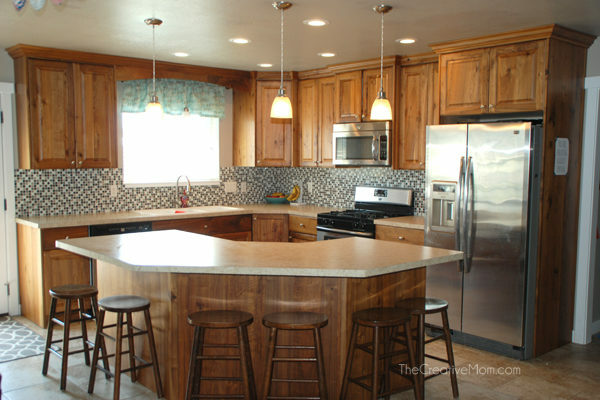 What I dislike most about my kitchen was the countertops and the backsplash. My countertops looked like a sheet of particle board. They were such a drab color. And my backsplash- yikes! It was SOOO busy. I picked it out at our local home improvement store because they were clearing it out, so it was SUPER cheap. Honestly, I don’t know if I even held it up to the cabinets or countertop. It was kind of a quick decision- I just went with it because the price seemed good. Word to the wise- DO NOT pick something that will be permanent in your home based off the price. Sure, be reasonable, but don’t buy something you’ll have to live with forever just because it is cheap. 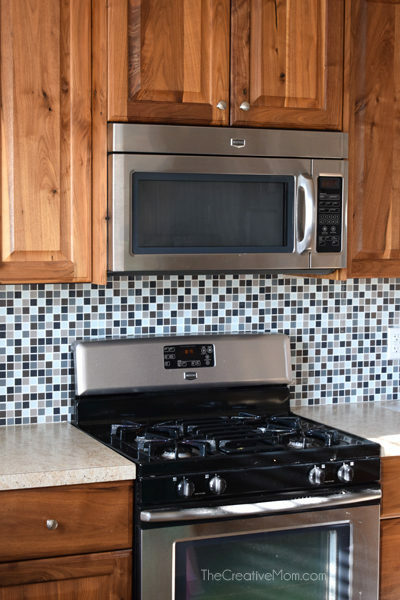 When I saw the kitchen after my husband had installed the backsplash, I felt immediate regret. There is so much going on in this backsplash that even if the house is really clean (it never is), the kitchen looks so cluttered. It is a very distracting backsplash. I could not wait to see it go! 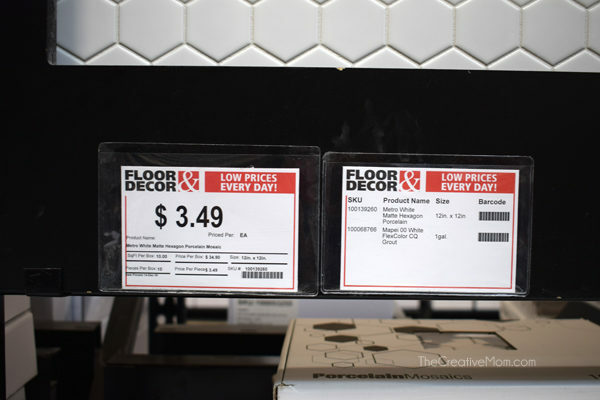 So I partnered with Floor & Decor to update my kitchen backsplash. You guys, if you’ve never been into a Floor & Decor store, you need to go! It was like Angels were singing the moment I walked in!!! I had scheduled a free design consultion, so when I went into the store, I was able to speak to a designer about what I wanted and how different things worked together. If you go into my local (Draper) store, you need to meet with Lydia (tell her I sent you)! But every Floor & Decor store has designers that you can meet with for absolutely free. We talked about the style I liked, my budget, and all the different options available. She walked around the store with me and picked out different tile samples and grout choices. She even calculated my square feet and pushed the cart for me! All for free! It was amazing to have someone to talk through everything with. 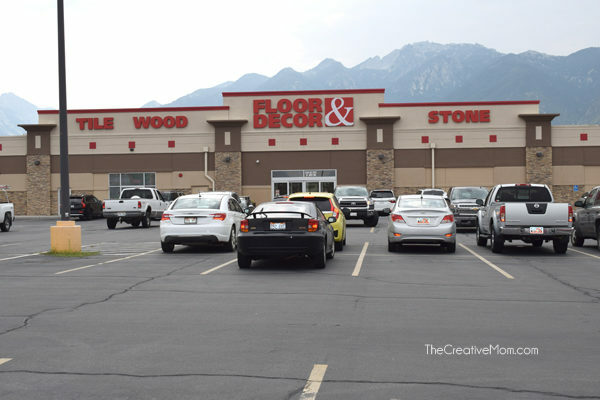 I was so impressed with the selection of hardwood, laminate, tile, and stone. But what I loved most of all is that Floor & Decor had a sample made up on display for EVERY single option they sell. So before I picked out the tile I wanted, I could see it on a larger scale than just the tile laying in a box. It was amazing. Oh, and if you are wondering, their prices are GOOD! Trust me, I compared. Lydia also told me that Floor & Decor hosts little workshops in every store on every Saturday. 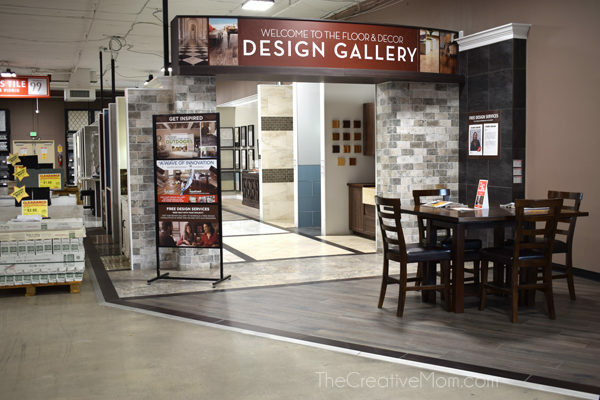 There are different classes for different flooring options. This would be great if you weren’t sure how to complete your project or what supplies and tools you need. 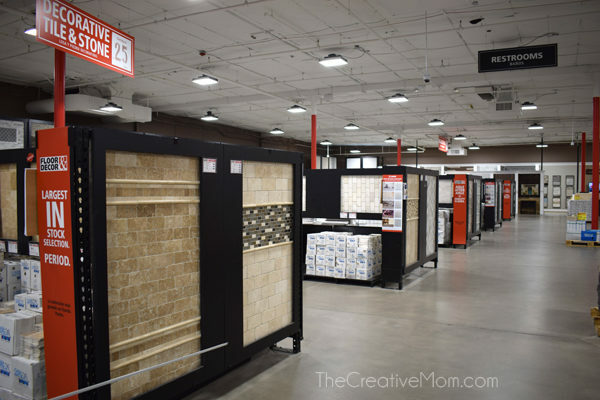 Just check with your local store for times, and go in on a Saturday and they will TEACH YOU how to tile or how to install hardwood or laminate, for whatever project you’ve got going on. How cool is that! I would definitely recommend checking out these workshops in your local store, especially if you’re not 100% sure what you need for your project, or how to do it. Ok, back to my project. Picking out my backsplash was actually pretty easy since I knew exactly what I wanted. I knew I didn’t want to paint my cabinets, so it made sense to add white into my countertops and backsplash to brighten the kitchen up. I also knew I wanted to go with a really SIMPLE and CLEAN design for my backsplash because I didn’t want it to be too distracting. Since I LOVE modern farmhouse inspired decor (hello Joanna Gaines! 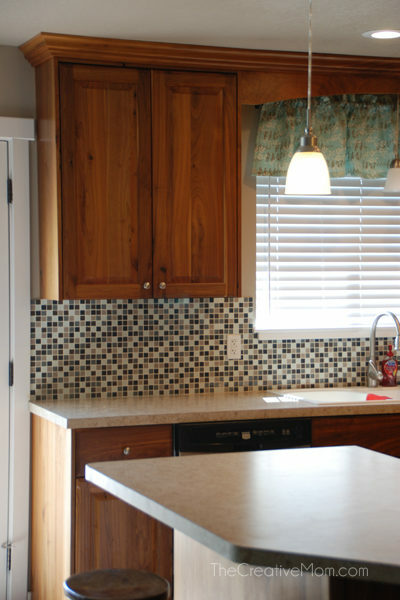 ), I thought the dark cabinets with a simple, modern, white backsplash would be perfect. Plus most of the furniture in my home is dark wood mixed with white- my Ikea hack coffee table, my farmhouse desk, my $20 farmhouse bench, and my nightstands – so white tile was an obvious choice. 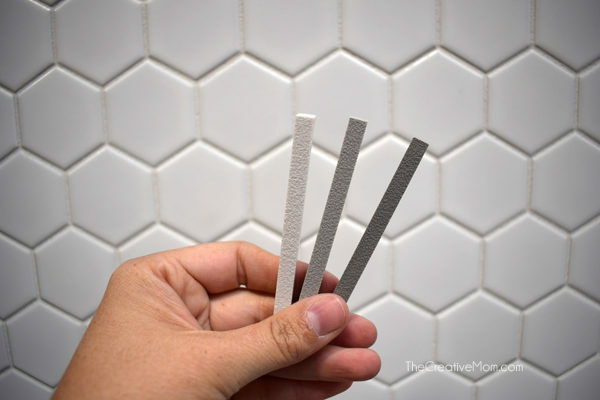 I found two options I really loved in the tile backsplash. 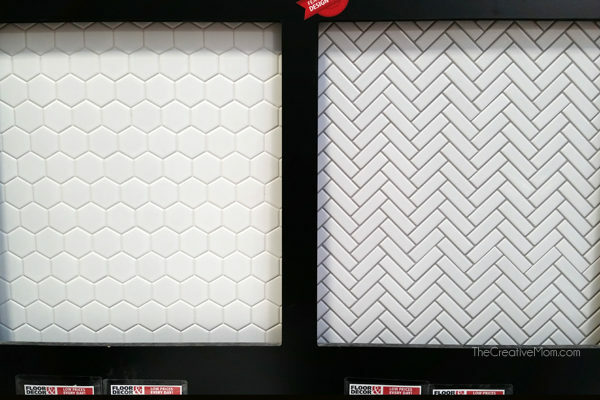 The hexagon tile (left), and the subway tile (right). 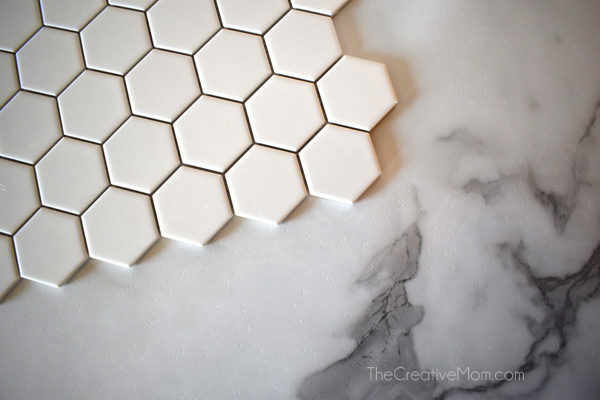 I loved the shape of the hexagon tile, but I didn’t want white grout- I’ve got little kids. So I decided to go with the grout they showed on the subway tile, but paired with the hexagon tile. Lydia also helped me with grout samples to hold up and make sure I was happy with the color. Here’s a picture of the tile information, in case you want to get the same tile. Or you can find it online at FloorandDecor.com. The grout I chose was Mapei Silver premixed grout. Lydia suggested that I purchase a sample piece of tile and bring it home to make sure it matched my new countertops and that I liked it under our lighting- because every lighting is different. I could always return the sample if I didn’t like it, or buy more if I decided to go with that tile. 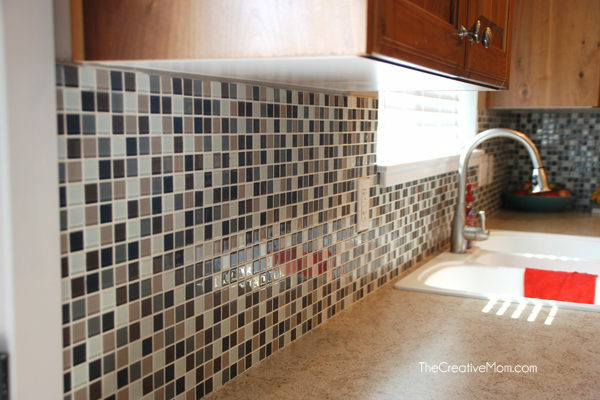 Spoiler alert: I LOVE how the tile looked in my kitchen! We’ve already started to replace the backsplash, and the difference in how my kitchen feels is already SO much better! I can’t wait to show you guys how it is turning out. I’ll be back next week with the final reveal pictures! Stay tuned, folks.